Eating healthy and delicious food is key to enjoy life. However, there's a pre-requisite before putting that spoonful of food into your mouth - exercise. No matter how carefully selected you are about food, let it be balanced diet or 100% organic meals, without exercising, your body just won't function correctly. 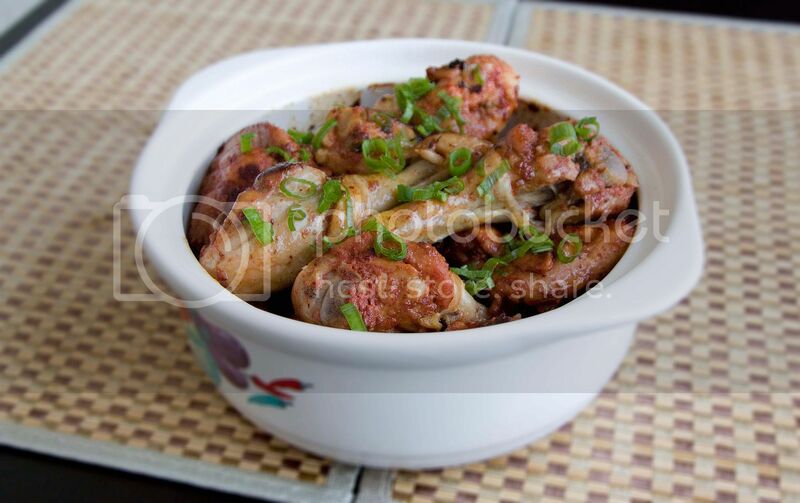 Be sure to keep a healthy life style by exercising regularly accompanied by balanced diet, and this recipe should do some good about metabolism, lowering the blood fat, and cholesterol level from the main ingredient - red fermented rice. Red fermented rice is made by fermenting sticky rice and naturally red colored rice with the solid byproducts from the alcohol making process along with some rice wine. 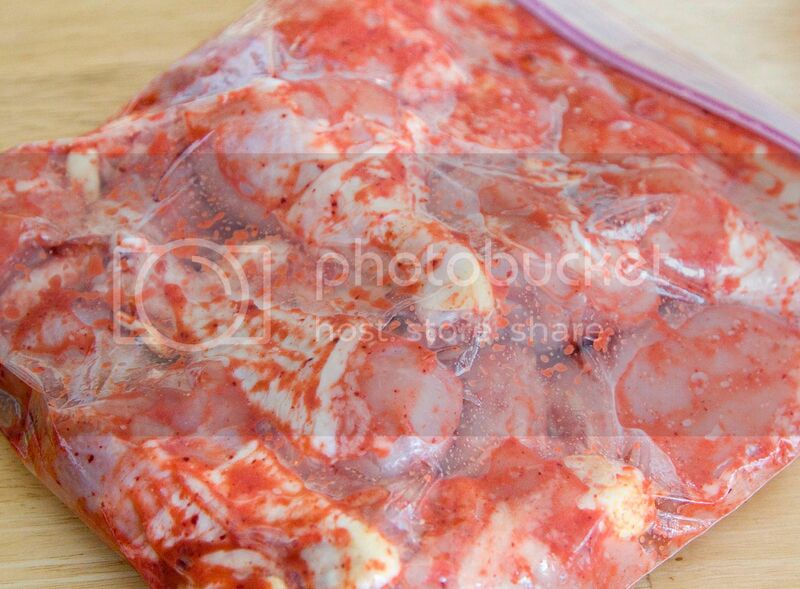 Take a Ziploc bag or a sealed container, add in about one whole garlic, peeled, along with red fermented rice. 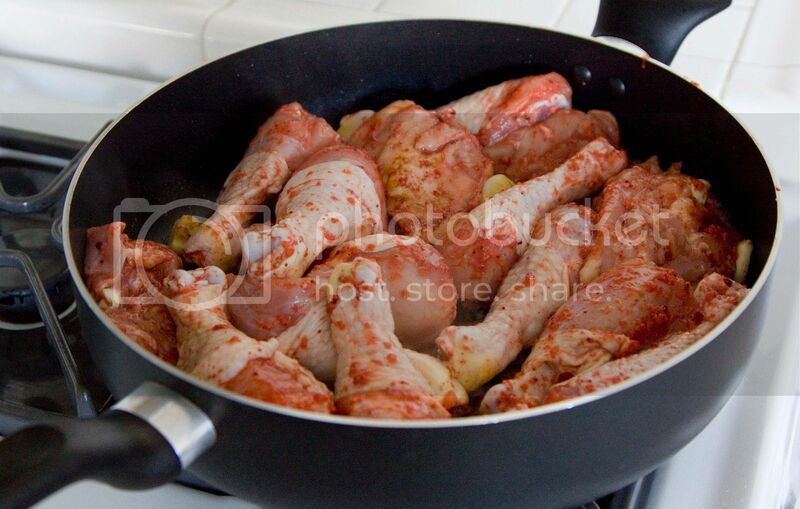 Add in the chicken drumsticks and big pieces of dark meat. Tighten the bag and give it a good shake/rub. 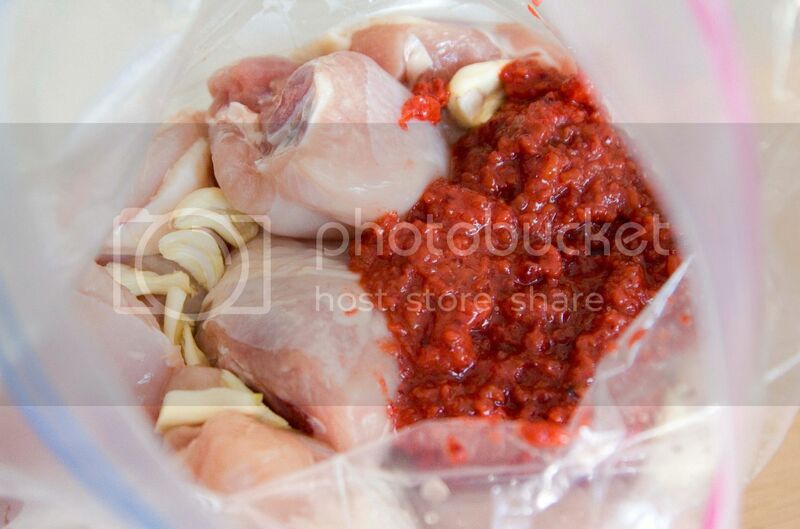 Transfer to the fridge and let it marinade overnight. Make sure to flip the bag to the other side half way through. Drizzle some olive oil into the pot, preferably a clay pot. Add in about 5 more peeled garlic cloves to the pot and turn to medium high heat to sear the cloves. Sear the chicken till slightly golden browned. Add in the soy sauce and water. Cook till the liquid has been fully absorbed by the meat, about 10 to 15 minutes. 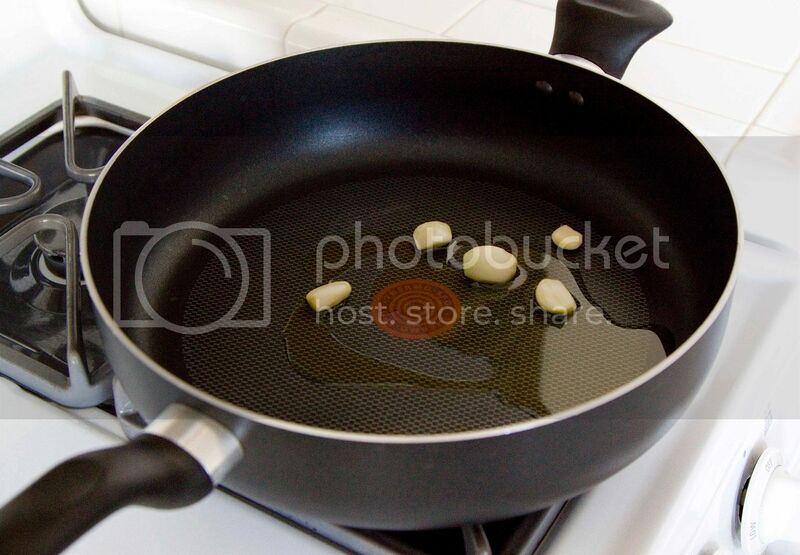 Make sure to stir once a while to prevent burning and the skin sticking to the pot. Oops, hope you are better right now. I agree with you about a healthy lifestyle with the "right" food and exercise. Thank you! But you have tried 紅糟 before right? 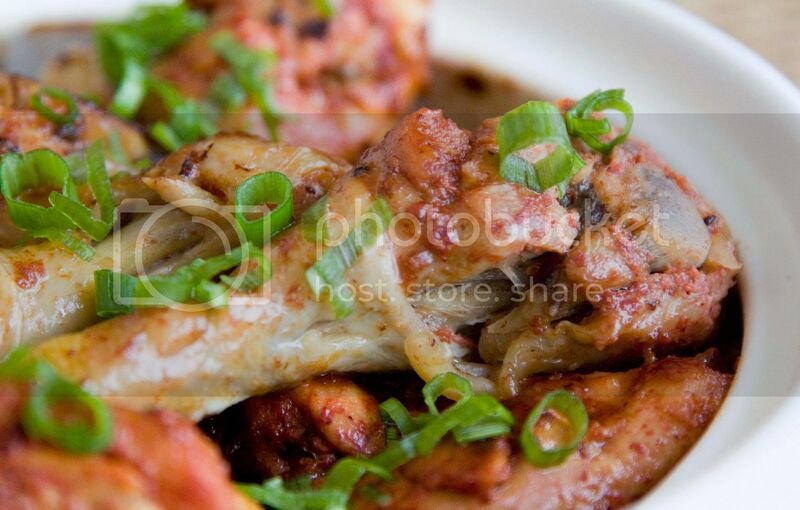 like th ones you marinate with pork and fry it?